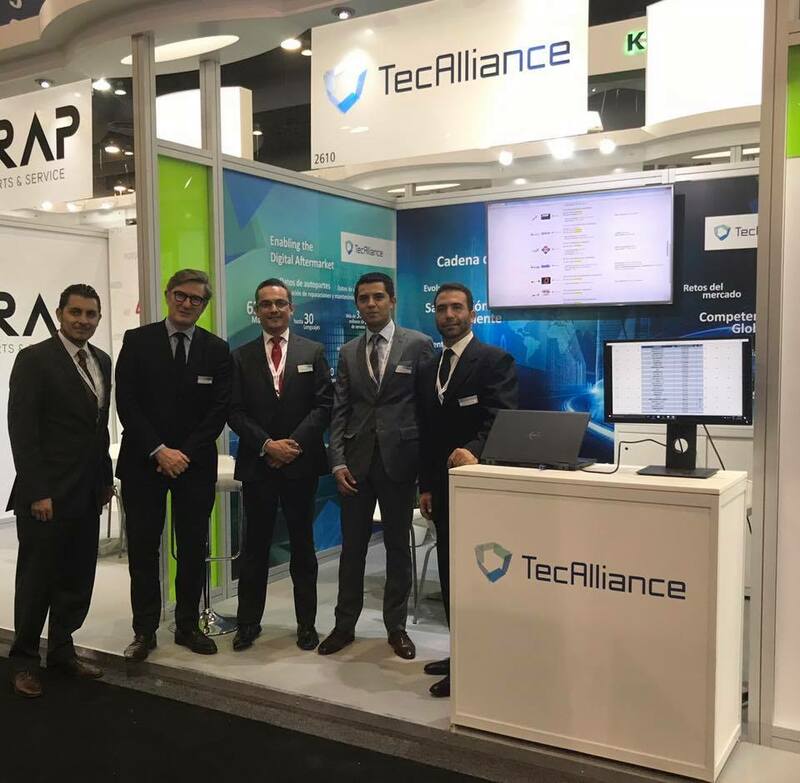 From 14 to 16 June 2017 TecAlliance de Mexico was represented with a joint stand in the German pavilion at the INA PAACE Automechanika in Mexico City. From 6 to 08 June 2017, TecAlliance presented itself at its own stand at Automechanika Birmingham, the leading exhibition for the automotive aftermarket in the United Kingdom, with its new brand identity and a clear response to the rapid developments in the international automotive aftermarket. The INA PAACE Automechanika in Mexico is the most important industry event for the automotive aftermarket in Latin America. Numerous visitors – component manufacturers, wholesalers, retailers and retail chains as well as car mechanics – took great interest in the TecAlliance stand, finding out about the product and service portfolio, which was specially developed to support the currently rapidly changing automotive market in Mexico. The emphasis here was on the solutions TecDoc Web, TecDoc Web Service, Vehicles in Operation (VIO) and catalogue and data service offers. The team of TecAlliance de Mexico at the TecAlliance stand at INA PAACE Automechanika in Mexico City (from left to right: Misael Flores (Customer Support), Claude Lotrian (Director Sales Western Europe & Latin America), Fernando Murguia (Director General Mexico), Rodrigo Figueroa (Carparc Data & VIO researcher) and Antar Abraham (Original Equipment Data & Researcher). Fernando Murguia (Director General Mexico at TecAlliance), who is in charge of the TecAlliance de Mexico branch, is also happy about the further expansion of his team. 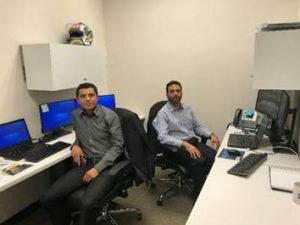 Since the beginning of June 2017 Rodrigo Figueroa has been working on the analysis and extension of vehicle inventory data in Mexico while Antar Abraham supports the team in the field of Original Equipment data research. Rodrigo Figueroa (left) and Antar Abraham (right) reinforce the team of the TecAlliance de Mexico branch. With over 850 exhibitors and more than 12,000 trade visitors Automechanika Birmingham has developed to become the most important event for the automotive aftermarket in the United Kingdom. 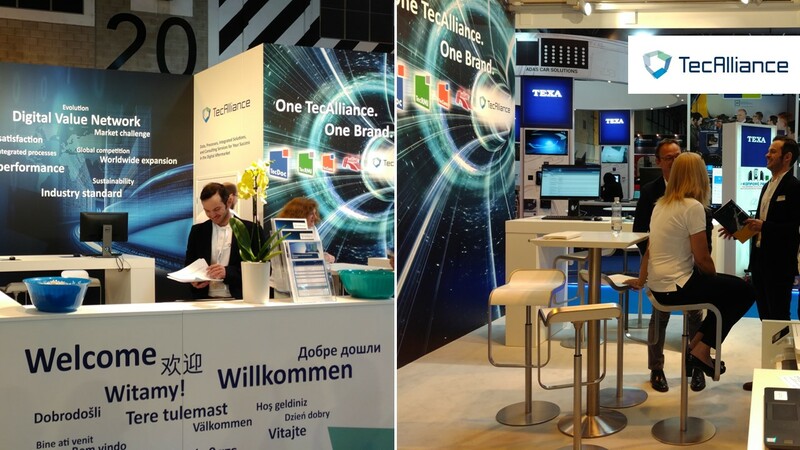 The trade fair appearance was a great success for TecAlliance as well. Visitors to the show could obtain a good overview of the new brand identity and the newly designed portfolio at the TecAlliance stand. “The products and services provided by TecAlliance are designed to fulfil the requirements of the many varied sectors of the automotive aftermarket and the brand is enjoying significant growth in Great Britain and Ireland,” Shaun Greasley, regional sales director, TecAlliance UK & Ireland explains.